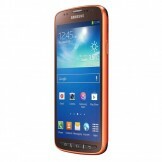 Samsung made the Galaxy S4 Active official this morning as their take on a rugged device built specifically for handling tough conditions and for those with active lifestyles. 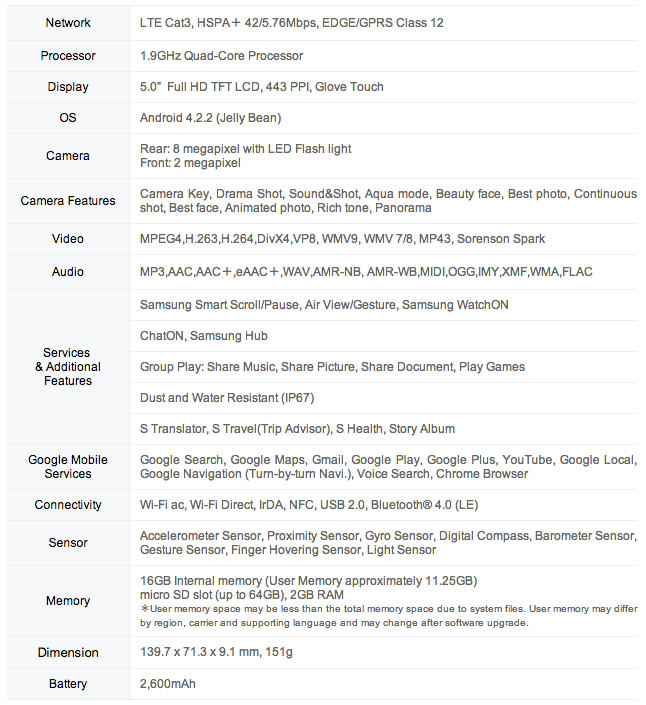 Unlike the Galaxy S4 Mini, this phone actually lives up to its flagship name with specs that are almost identical. Available this summer in the U.S. and Sweden at launch, you’ll have three colors to choose from: Urban Grey, Dive Blue, and Orange Flare (pictured below). In terms of tech specs, the device sports a 1.9GHz quad-core processor (likely the Snapdragon 600), 5.0″ Full HD LCD display (443ppi, but not a Super AMOLED), 8MP rear camera, 2MP front camera, 2GB RAM, 2600mAh battery, 16GB of internal storage, expandable microSD storage, with Android 4.2.2, all wrapped into a body that is 9.1mm thick. 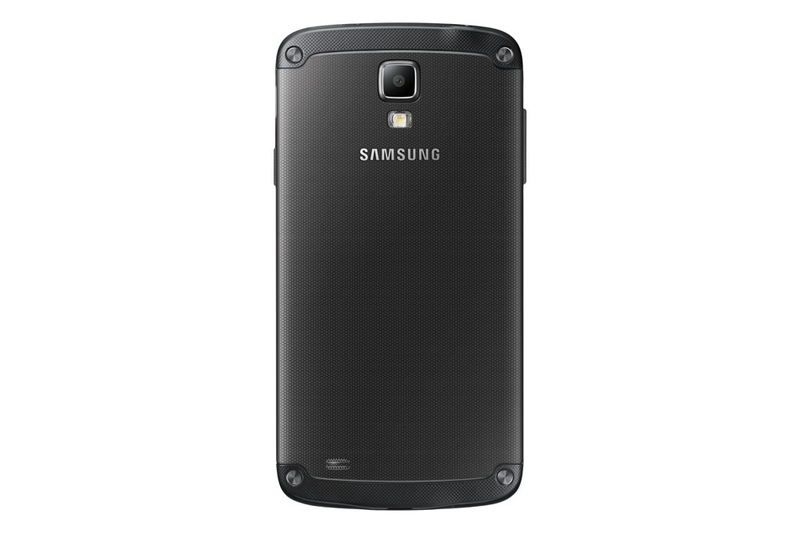 On a rugged front, the GS4 Active is fully sealed to protect against dust particles and water damage. The device can actually be submerged in 1 meter of water for up to 30 minutes. It also has a water-resistant earphone jack, so you can take your tunes to the trees or the beach. The 8MP camera includes an “Aqua Mode” that increases visual quality and clarity as you snap photos under water. Outside of all of that, it includes Glove Touch in the display, all of Samsung’s TouchWiz suite like Air Gesture and Air View, and the entire camera suite from the regular Galaxy S4. 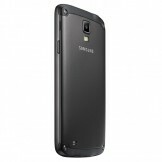 The device will be on display at Samsung’s June 20 Premiere event in London. SEOUL, Korea 17:00 KST – June 5, 2013 – Samsung Electronics Co., Ltd, a global leader in mobile technology and digital solutions, today announced the GALAXY S4 Active, designed to enhance life experiences of the active user who wants to stay connected while exploring environments from the most rugged mountain trails to the roughest rivers. 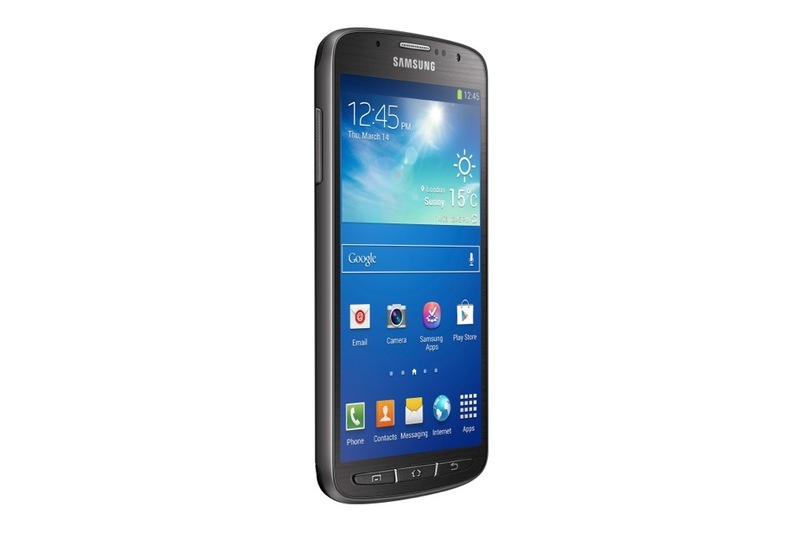 Recognizing the demands of a dynamic lifestyle, the GALAXY S4 Active was engineered to keep active users connected as they explore and experience the world around them. 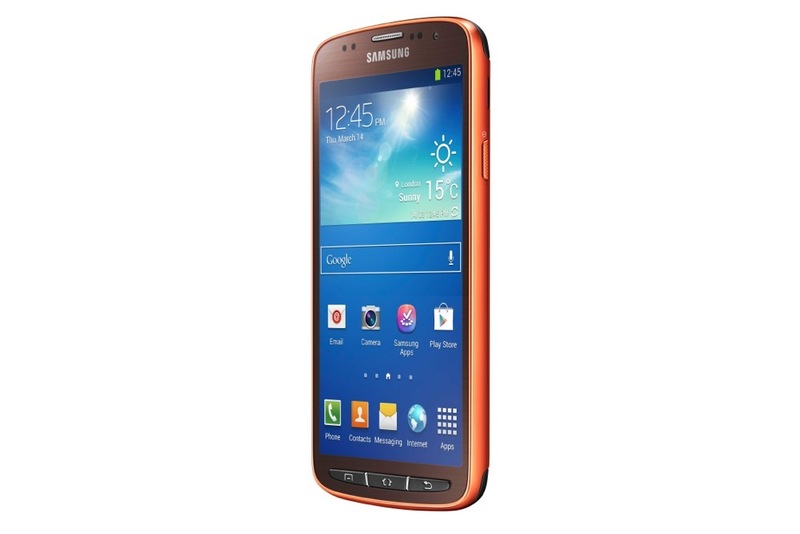 The GALAXY S4 Active has qualified protection from dust and water (IP67＊), so you never have to leave the device at home during a long day at the beach or dusty hike. The fully sealed design keeps dust particles out and protects against water damage for up to 30 minutes of submergence at a depth of one meter. Equipped with a water-resistant earphone jack, the GALAXY S4 Active frees you to use earphones in more adventurous conditions, in the same way you’ve used them in normal ones. Whether capturing every moment of a wild rafting trip or taking a great underwater photo in the pool, the device’s unique construction lets users capture amazing moments previously impossible using a normal smartphone. An active lifestyle requires plenty of energy, and the GALAXY S4 Active offers a long-lasting and powerful user experience. 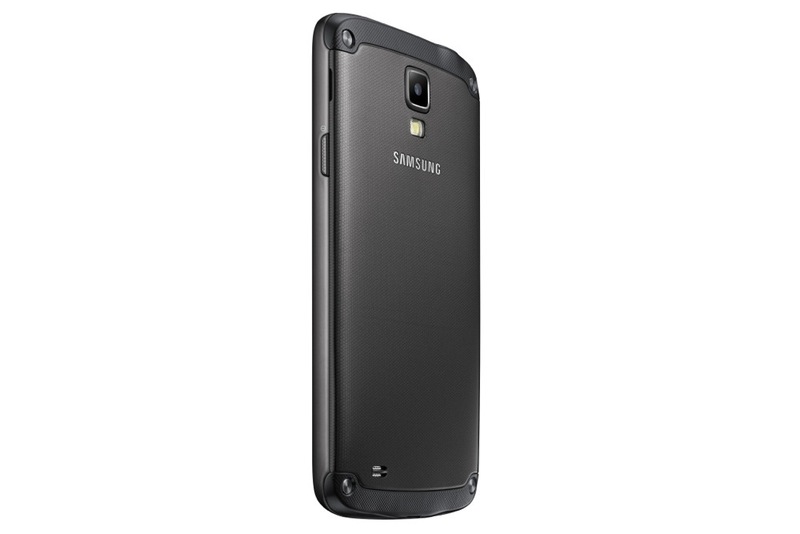 Featuring a 1.9 GHZ Quad-Core processor and 2,600mAh battery, the GALAXY S4 Active can handle the most intensive tasks with ease and precision. Striking color and stunning resolution on the device’s beautiful 5.0’’ Full HD TFT LCD screen (443 PPI) makes playing the newest games or watching hours of video easy on the eyes. And with ‘Glove Touch’, cold weather is no longer a problem since the touchscreen can be fully operated while wearing gloves. 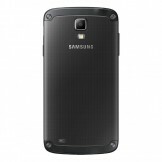 With an 8-megapixel rear camera, users can easily share their vivid experiences while on the go. Unique to the GALAXY S4 Active camera, ‘Aqua Mode’ can be used to increase visual quality and clarity for enhanced underwater images and video. The volume key located on the side of the device can be used as a camera key, allowing users to easily and quickly open the camera application to capture photo and video the moment it happens. Additionally, the camera transforms into a powerful LED flash light to assist in low-light and nighttime activities with a simple long press of the volume key. 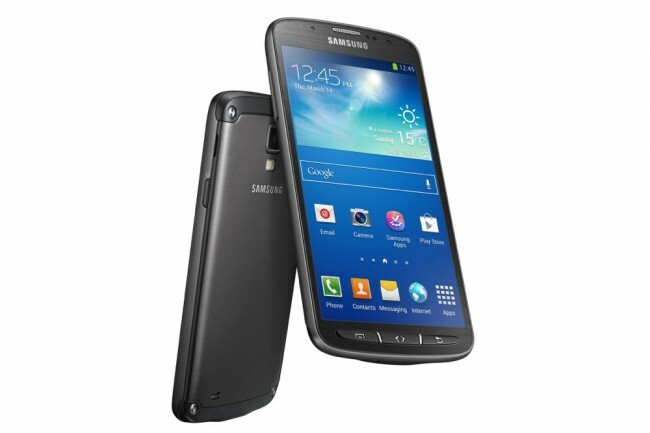 The GALAXY S4 Active is designed with a seamless interface that incorporates popular features of the GALAXY S4. ‘S Travel (Trip Advisor)’ offers travel assistance, local information, and recommendations to provide a more seamless experience in an unfamiliar environment. ‘S Translator’ makes international travel easy by providing instant text or voice translation for emails and text messages. The camera interface is designed to make capturing and sharing meaningful moments intuitive and more engaging with multiple shooting modes including ‘Drama Shot’, which allows users to see all the action in one continuous time-lapse, and ‘Sound & Shot’, which uniquely stores sound and voice together with the image to capture the moment in an immersive visual/audio format. With ‘Story Album’, photos taken with the GALAXY S4 Active are collected and sorted according to a user’s timeline, geo-tagging information or a specific event to instantly create an organized photo album. To help facilitate sharing, users can also use the ‘Group Play’ function to enjoy music, photos, documents and games together and across various devices including GALAXY S4, GALAXY S4 mini, GALAXY Mega 6.3 and GALAXY Mega 5.8. ‘Samsung Smart Pause’ enables users to control of the screen using optical cues. While watching a video, the video pauses when you look away and starts right up again when returning to view, saving vital battery life and time spent rewinding. ‘Air View’ lets you preview the content of an email by simply hovering your fingers over the screen, which saves time and data. With ‘Air Gesture’, you can change the music track, scroll up and down on a web page, or accept a call with a simple wave of the hand. Additionally, ‘S Health’ helps you keep track of your personal health statistics. When paired with the S Health Accessory, you can monitor your heart rate, weight, sleep pattern and other personal measurements to assist in a healthy lifestyle. 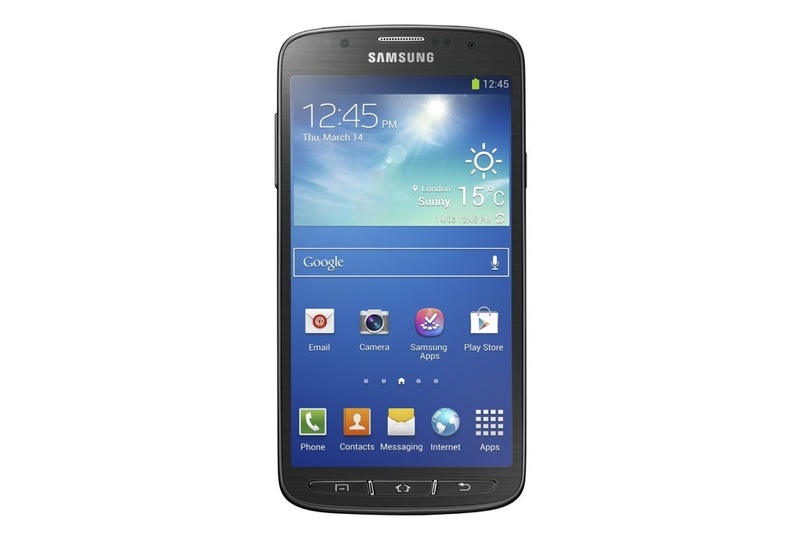 The GALAXY S4 Active also offers competitive content and services to provide a seamless mobile experience anytime and anywhere. Using the ‘Samsung Hub’, users can access music, videos, books, games and engaging educational content. With a beautiful magazine-style interface, users can browse a variety of content across services, as well as purchase and manage their content easily with a single Samsung Account. Users can also control their TV through Samsung WatchON’s IR remote, which transforms the GALAXY S4 Active into a remote control for TVs, set-top boxes, and DVD players. 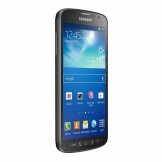 Through ‘Samsung WatchON’, the GALAXY S4 Active also offers a broad selection of entertainment content including live TV, cable TV and video on demand, facilitated by the rich digital context provided by Samsung’s EPG (Electronic Program Guide) system. ‘ChatON’, another unique feature, connects and facilitates group chats, media sharing and interacting in creative new ways using pictures, hand drawings or figures across mobile devices. Further enhancing the device’s sharing capabilities, users can use ‘Samsung Link’ to share and sync content across multiple Samsung digital devices. 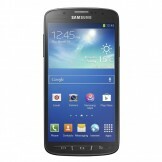 The GALAXY S4 Active will be available for purchase beginning this summer, with initial retail in the U.S. and Sweden. It will be offered in three different color options: Urban Grey, Dive Blue and Orange Flare. Specific availability will vary depending on the market. Media requests and invited partners will be offered hands-on demonstrations with the GALAXY S4 Active at the Samsung Premiere 2013 GALAXY & ATIV in London on Thursday, June 20th. ＊ Android, Google, Google Search, Google Maps, Gmail, Google Play, Google Plus, YouTube, Google Places, and Google Navigation are all trademarks of Google Inc.